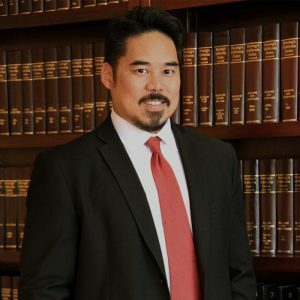 Attorney Steve V. Lewis is a licensed attorney, authorized to practice immigration law nationwide, and an active member of the State Bar of Utah. He is also admitted to practice before the U.S. District Court for the District of Utah and U.S. Court of Appeals for the Ninth Circuit. He has a Bachelor’s Degree in Political Science with a concentration in International Relations, and a specialization in Asian-American Studies from the University of California, Los Angeles (UCLA), and a Juris Doctor degree from Duquesne University School of Law in Pittsburgh, PA. Attorney Lewis is a member of the Federal Bar Association. He previously served as legal intern and student attorney for the Allegheny County District Attorney’s Office in Pittsburgh, PA. He then joined the legal staff of the Law Offices of Michael J. Gurfinkel, Inc. in 2001, and has handled numerous cases involving family and employment based petitions, including adjustment of status, naturalization, Consular\Embassy processing of visas, removal/deportation cases, O-1/O-2 entertainer visas, and appeals before the Board of Immigration Appeals and the Ninth Circuit Court of Appeals.